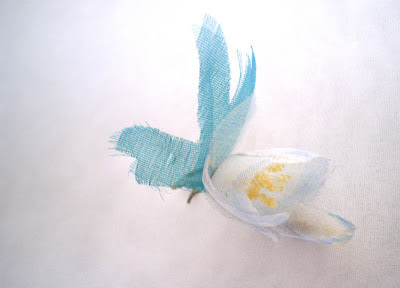 Working with colouring for hand dyed and hand painted as watercolours on feathers, silk, leather, metal and other materials for such purposes as millinery, hat-making, fashion, costume, bridal, accessories, and embroidery. 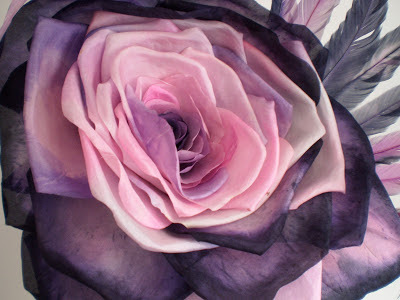 Oversize Silk Rose. Hand painted and hand made. Complemented with two huge leaves and hand dyed feathers. 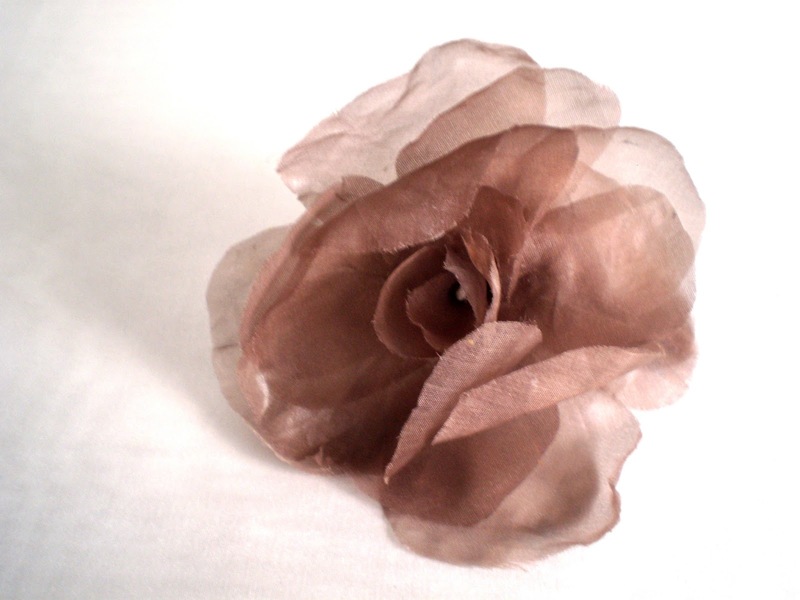 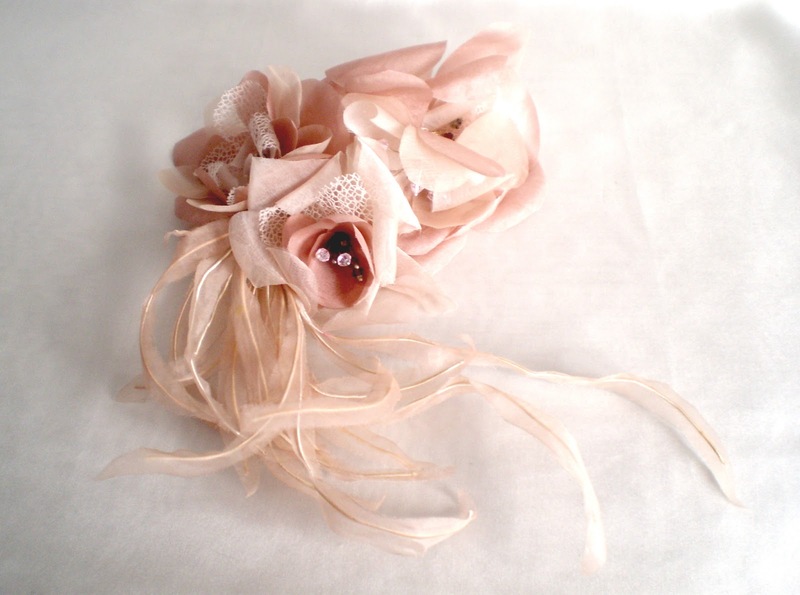 Dusty Pink Silk Organza Rose. 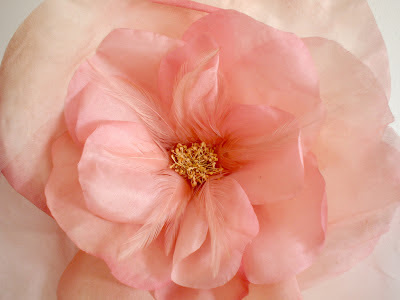 Mix fabrics Camellias. Hand dyed in blue. 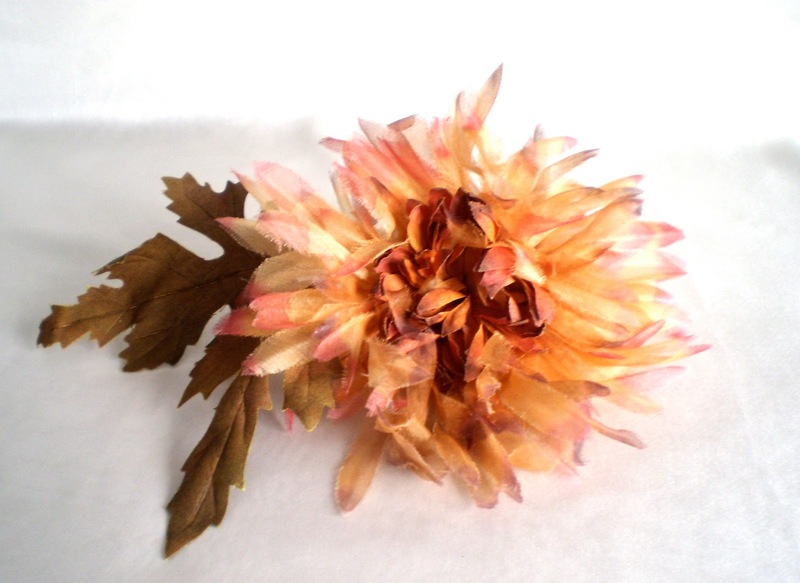 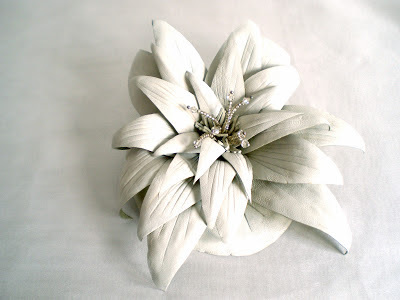 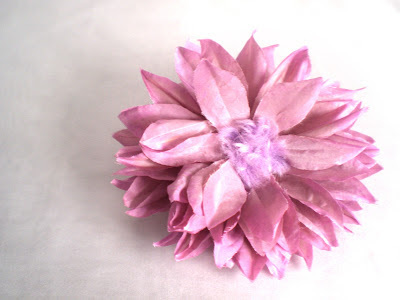 Chrysanthemum made of Silk Organza and Cotton Leaves. 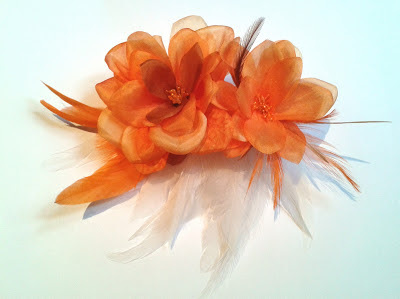 Hand painted in brown and orange. 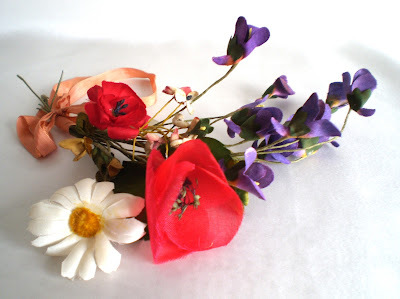 Flowers and long Leaves made of mixed fabrics. Purple Dalia made of silk Satin. 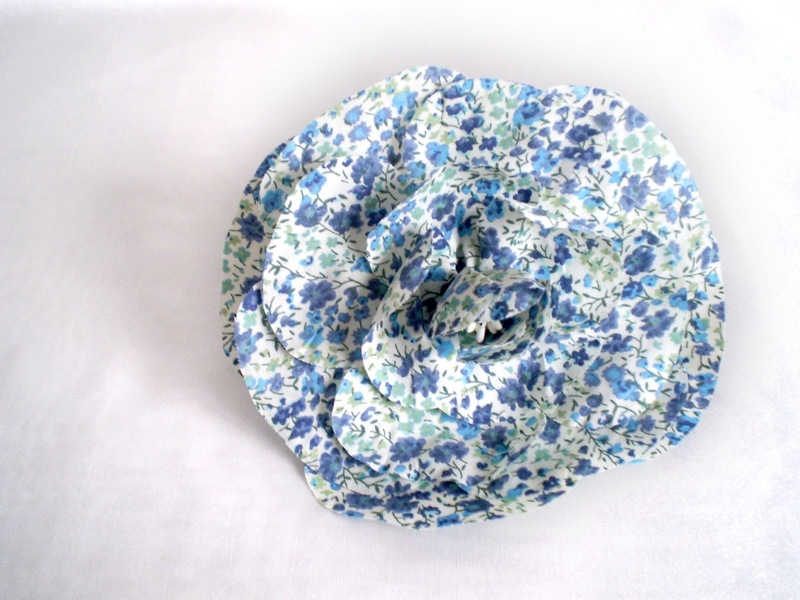 Camellia made of Liberty Fabric. 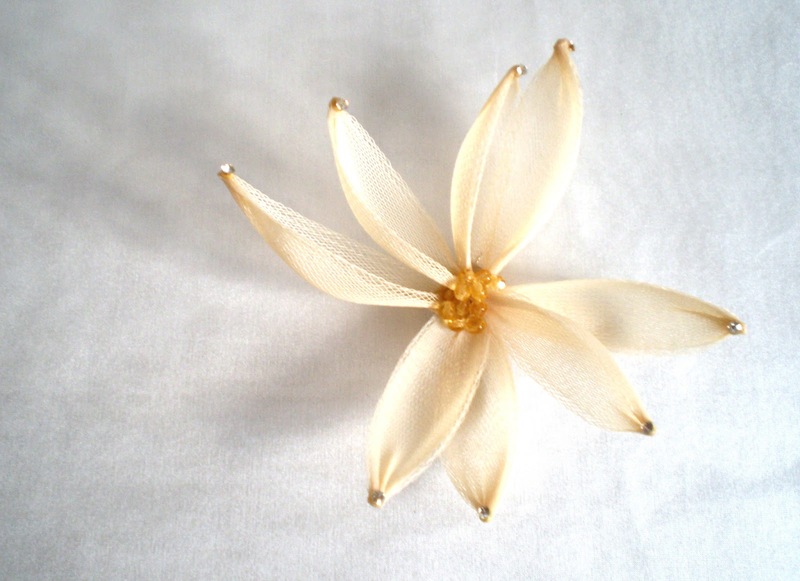 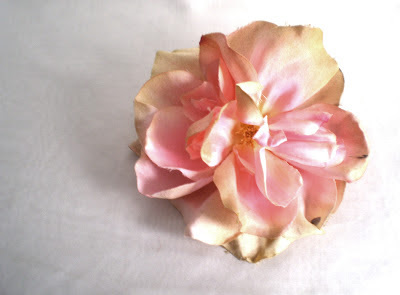 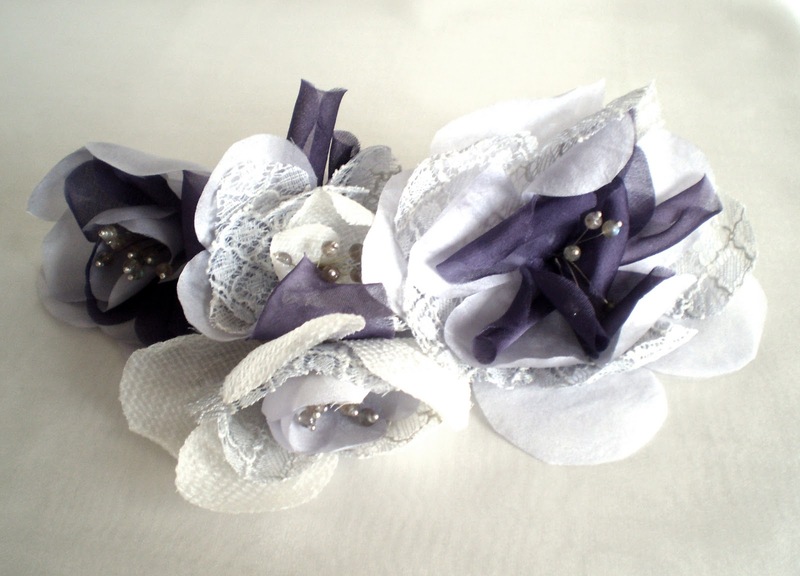 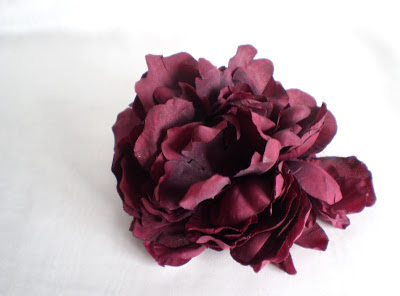 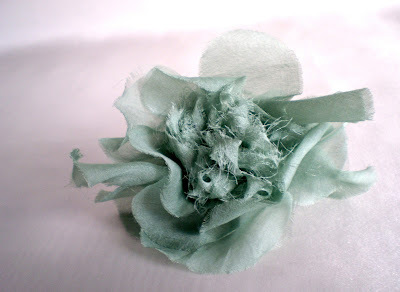 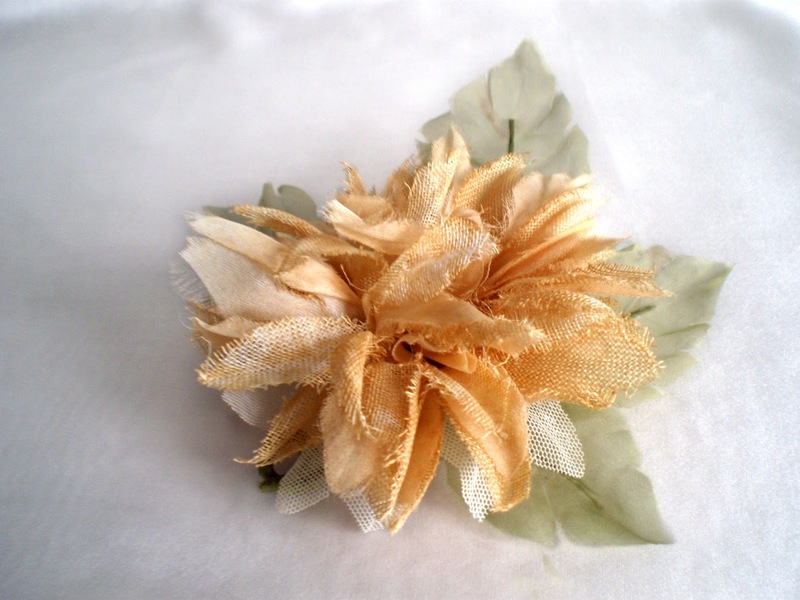 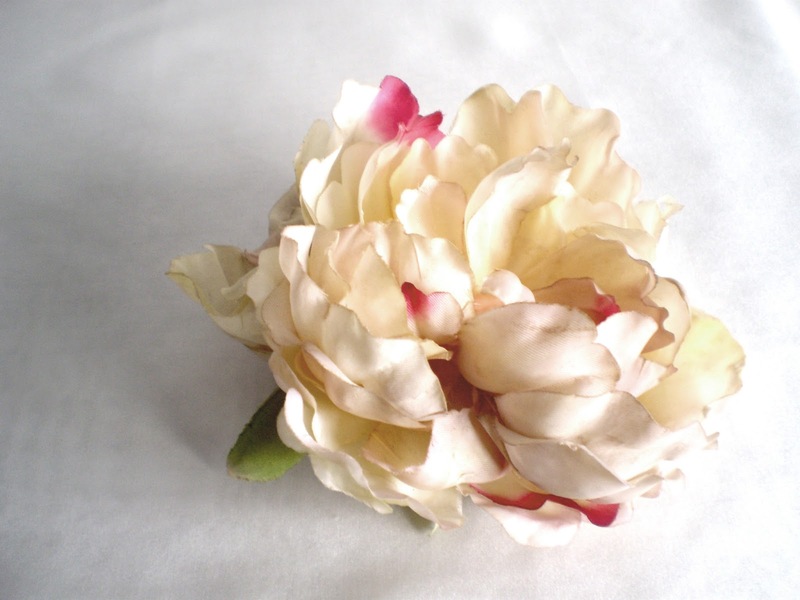 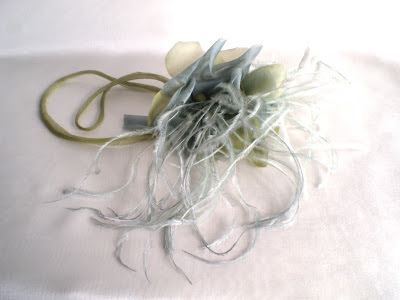 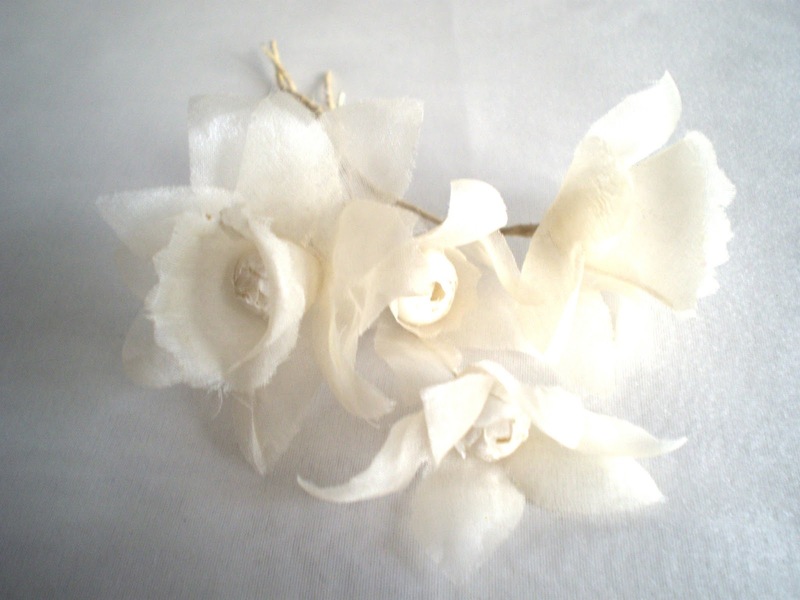 Vintage Flower made of Crin. 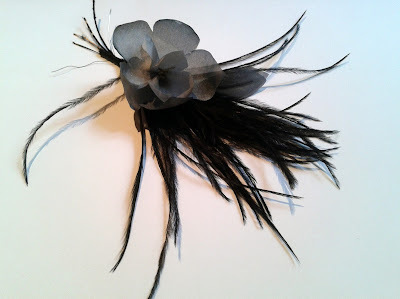 Long Black Wildflower. 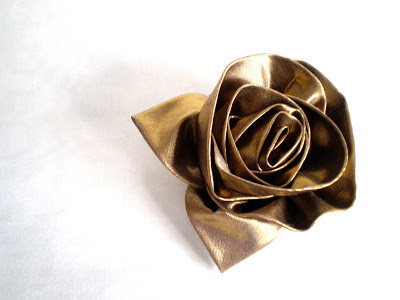 Handmade of Silk Satin. 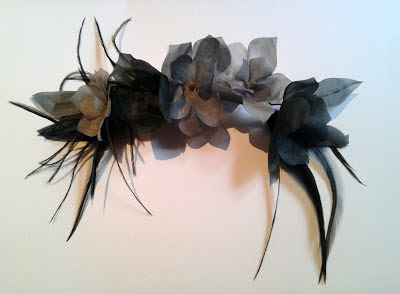 Ostrich Feathers and Silk Organza Flowers. Orange Silk satin Flowers with Feathers. Black and Grey Silk Satin Flowers with Feathers. 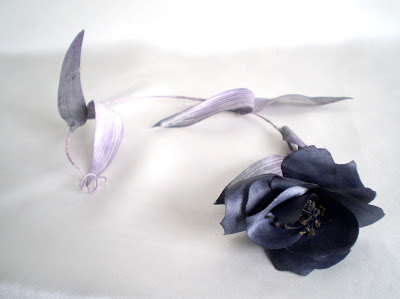 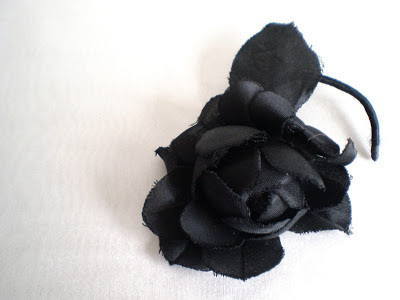 Black and Grey Silk Satin Flower with Feathers.